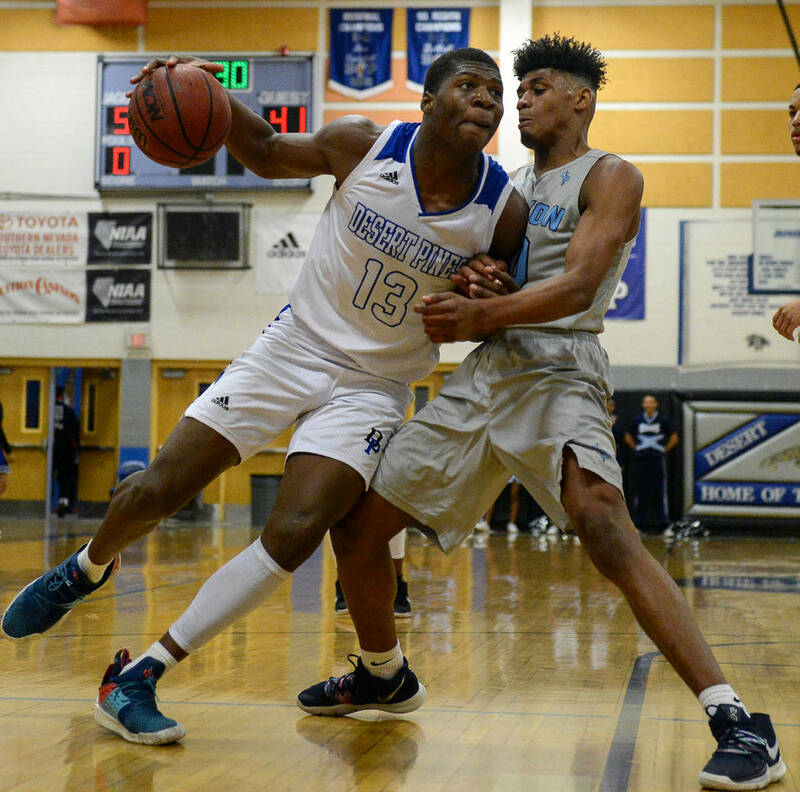 Desert Pines’ Darnell Washington had 11 points, 15 rebounds, three assists and two blocked shots Tuesday to lead the fourth-ranked Jaguars to a 71-58 home win over No. 10 Canyon Springs. Darnell Washington isn’t the most polished basketball player. 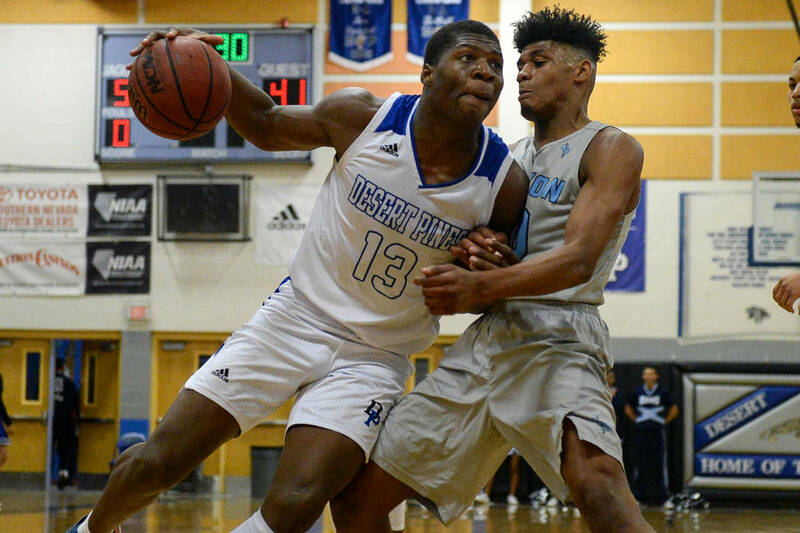 But the highly recruited football player turned basketball big man certainly makes an impact for Desert Pines. 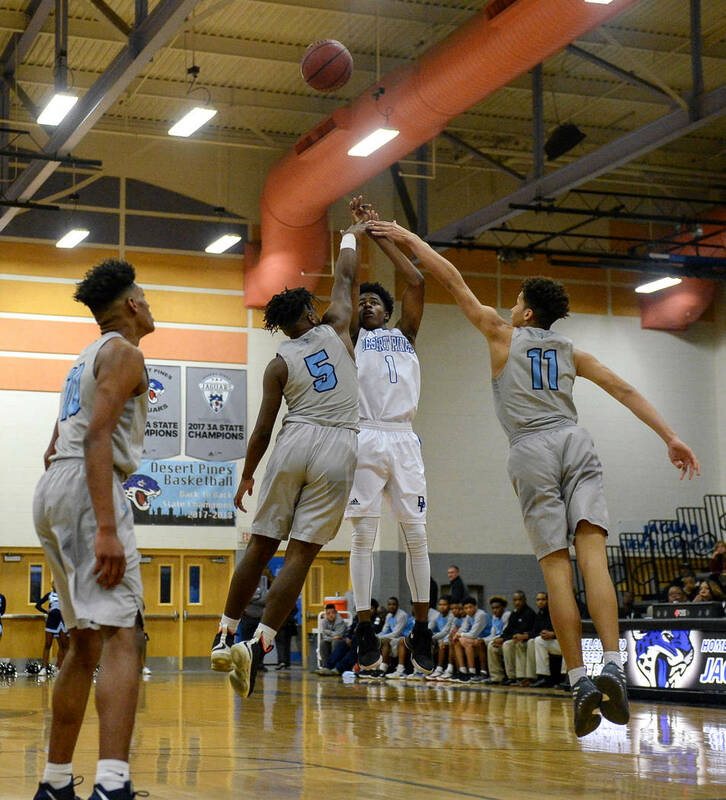 Washington had 11 points, 15 rebounds, three assists and two blocked shots Tuesday to lead the fourth-ranked Jaguars to a 71-58 home win over No. 10 Canyon Springs. Washington had a couple of miscues, like the pair of ill-advised 3-point attempts and the play where he tried to take a rebound coast to coast and lost control of the ball trying to dribble behind his back in traffic. 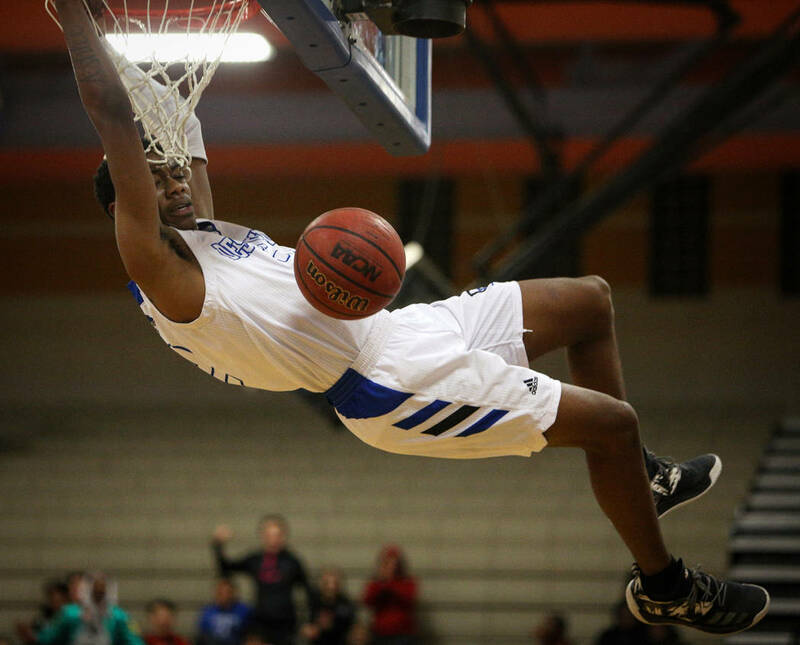 But he also dominated the glass, leading the Jaguars (19-6, 11-0 Northeast League) to a 42-27 rebound advantage. And he intimidated inside, changing numerous shots and forcing other players to abandon inside scoring chances altogether. The Jaguars were red-hot to start the game, making 11 of 14 field goals in the first quarter and grabbing a 27-15 lead. 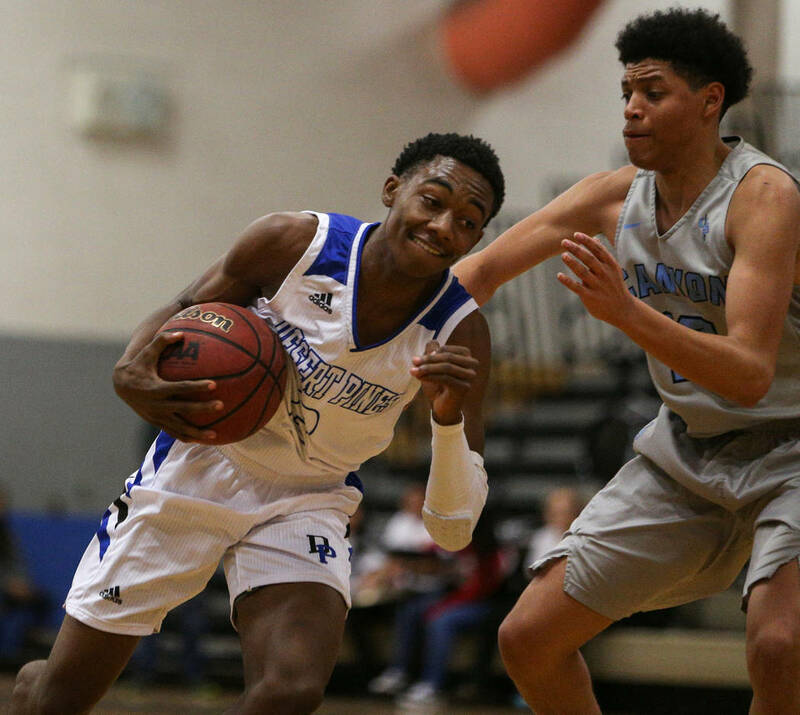 Alexander Spaight kept Canyon Springs (15-6, 7-4) in the game in the first half, scoring 21 of his 27 points before halftime to keep the Pioneers within striking distance. 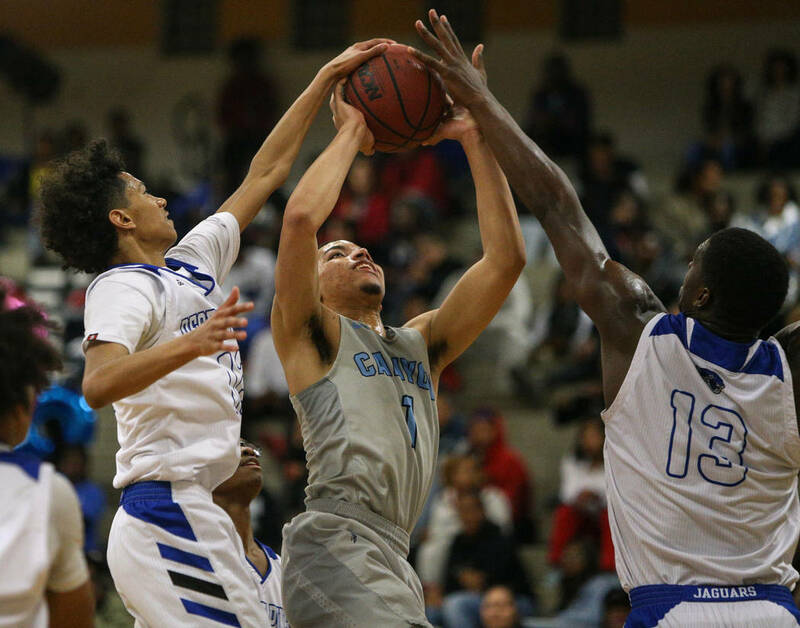 Kayvon Alexander had 10 of his 14 points in the third quarter for Canyon Springs, including a tip-in as time expired in the third quarter that cut the lead to 54-53. 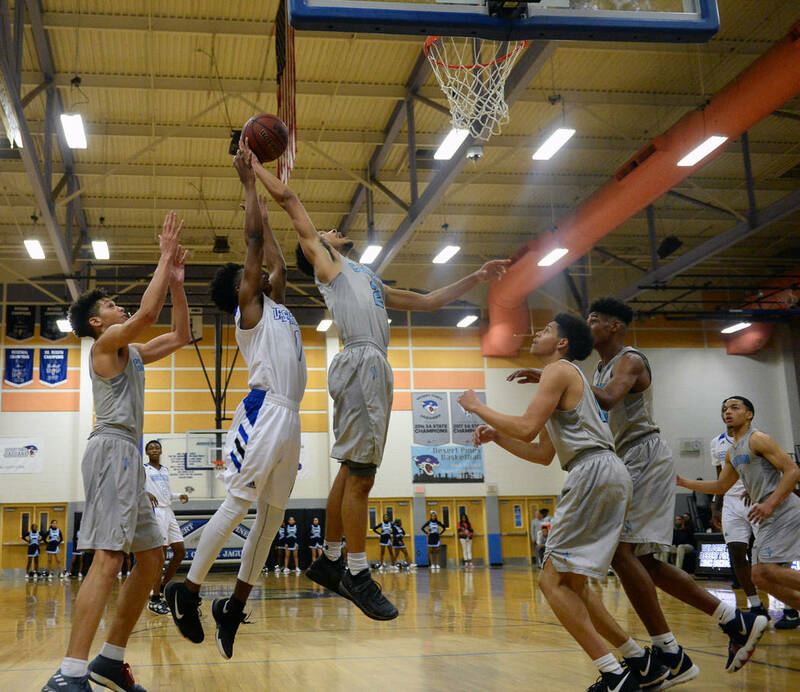 But Desert Pines scored the first 11 points of the fourth quarter and cruised down the stretch. 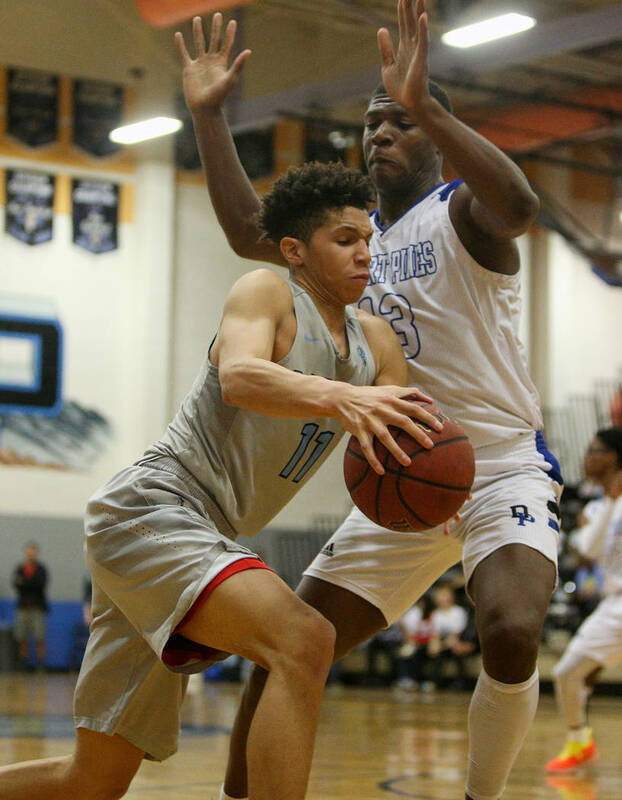 Milos Uzan, the coach’s son, had 16 points, five rebounds and six assists. 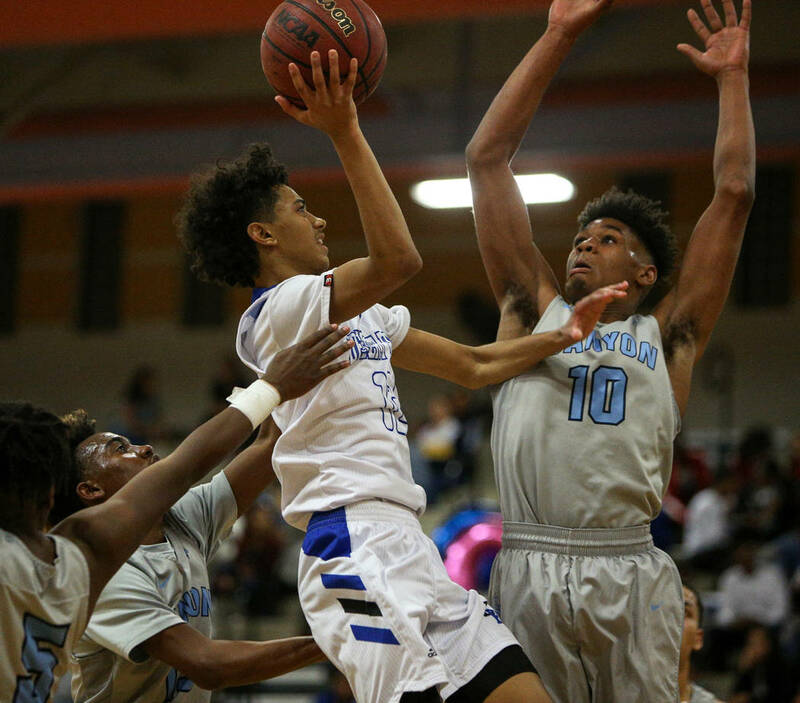 Dayshawn Wiley added 14 points, six rebounds, three assists and three steals, and Semaj Threats had 10 points and six rebounds for the Jaguars.